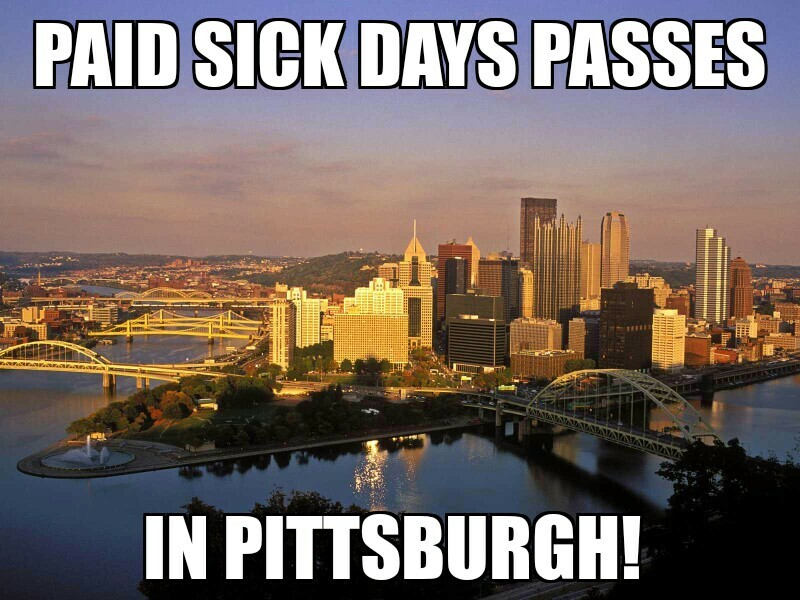 On Monday, the Pittsburgh city council passed a bill requiring employers to offer workers paid time off for illness or to care for a sick loved one. The bill passed seven to one after moving quickly through the council. It was introduced on July 6, which meant it got passed in less than a month. The new law will require businesses with 15 employees or more to give workers at least five paid sick days and three for those with fewer, although unionized construction workers, seasonal employees, independent contractors, and government employees will be exempt. The leave can also be used to care for a spouse, child, parent, domestic partner, grandparent, or sibling. Currently, about 40 percent of the city’s private sector workers, including 77 percent of service workers, don’t have access to paid sick leave. Pittsburgh is now the second city in Pennsylvania and the 20th city nationwide. Four states have also passed paid sick leave requirements.